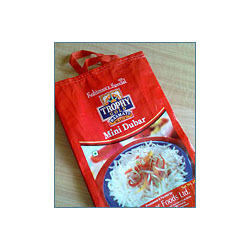 We are a leading Manufacturer of bopp coated bags from Daman, India. With the help of our experts, we offer a wide range of BOPP Coated Bags to our clients at industry leading prices. These are extensively used for packaging costlier products such as pesticides, seeds, wheat flour, high-end chemicals etc. It can be also used for secondary packaging of smaller 1kg bags. Furthermore, we make sure that our range is free from any defects and ideal for uses. Looking for “Bopp Packaging Bag”?